With nature as our gold standard the EcoNest natural building training awakens craftsmanship, builds teamwork and inspires leadership. "I am not the workshop teacher. I only facilitate the introduction. 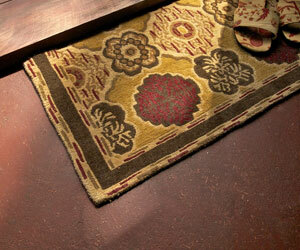 Wood, clay, fiber and stone are your teachers." 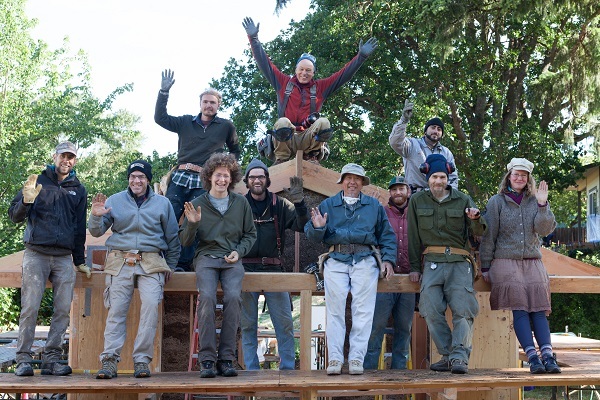 In these two 5-day workshops, you will review the history of timber framing and contemporary practices used to build modern timber frame homes. 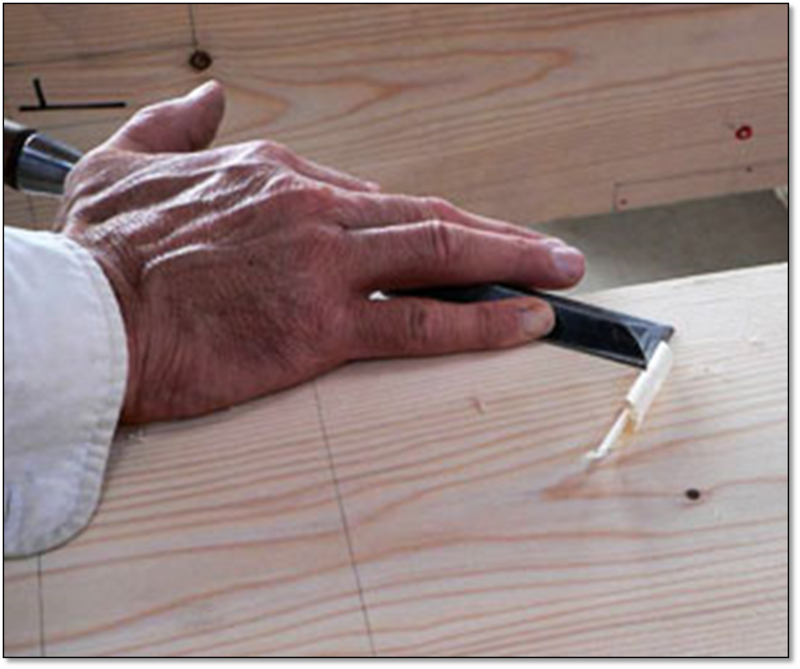 Students will learn the basic principles of crafting a timber frame and will develop the following skills. The BEN Builder Intensive is an accelerated learning experience in the philosophy and specialized techniques of EcoNest construction, specifically our new line of Backyard EcoNests, or BEN. (Learn more about BEN here.) For those desiring the efficiency of time and a discounted price, the EcoNest Intensive is a package of consecutive workshops and seminars offered by EcoNest. This is a very full and challenging hands-on training that will totally change the way you think about shelter and our impact on the planet. This package is well-suited to general contractors and owner-builders and is the core training for future EcoNest Affiliates. Although it takes a lifetime to learn any craft, the journey is a delight with the right start. 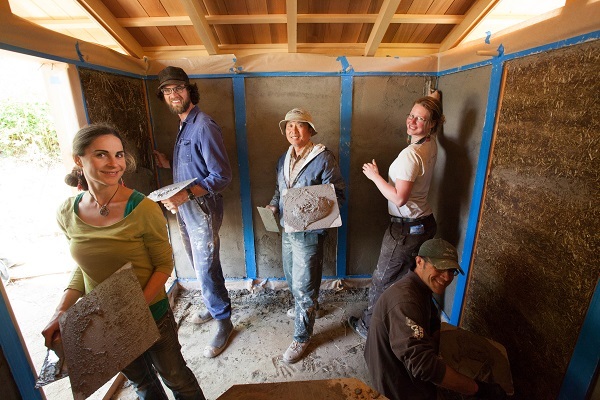 This 10-day workshop will give you the right start with finish work experiences ranging from roof, stair, and deck building, to finish stone and tile work, to natural plasters, to tongue and groove ceiling construction. Sharpen Your Chisel and Sharpen Your Mind. 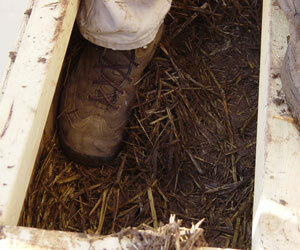 The straw clay wall is the core of the EcoNest building system. In this five day workshop learn how to efficiently wrap a building with a 12” thick blanket of dynamic insulation for health, comfort and building longevity. The purpose of plastering is to achieve a durable and finished surface that will protect the wall, enhance beauty and contribute to a stable indoor environment. In the hands of a master craftsman natural plaster-work can be an art form. 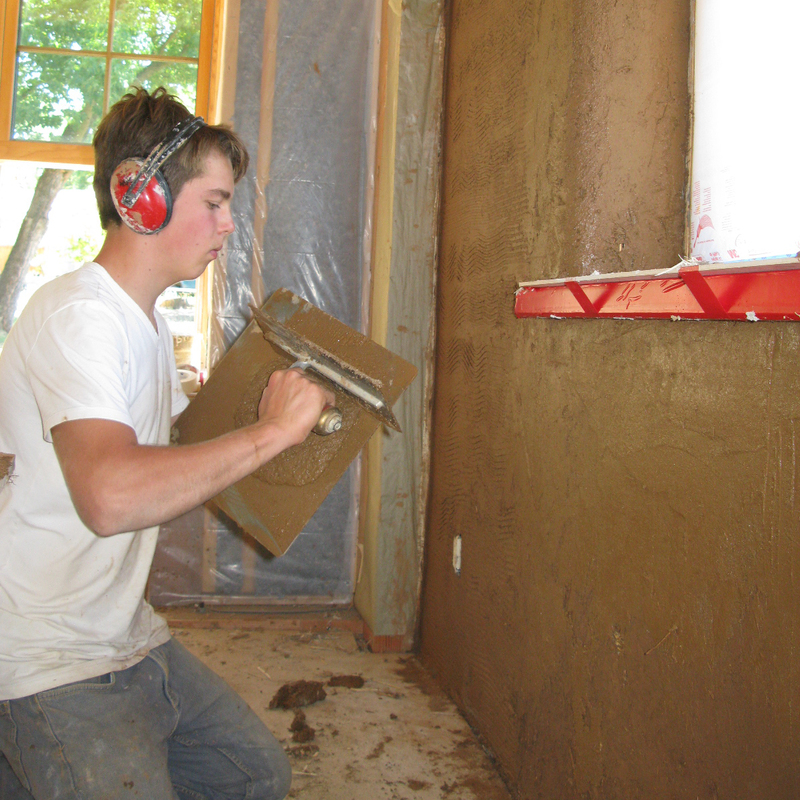 In this workshop you will receive detailed instruction from a master plasterer and gain hands-on experience plastering an EcoNest wall. 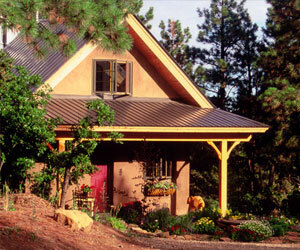 The roof of an EcoNest® is the most dominant exterior feature of the home. A well-executed roof should not only be beautiful but it should protect the walls and direct millions of gallons of water over the life of the home. In conventional construction, where the vast majority of roofs are pre-fabricated trusses the skills required for complex traditional roof framing is rarely taught. Beautiful, sustainable and comfortable; earthen floors are rapidly gaining popularity as a natural, non-toxic flooring option. 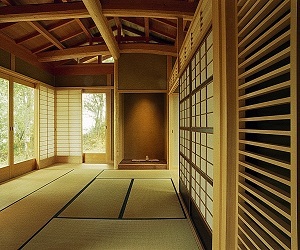 Coming from traditions all over the world and integrating with the building science of today, modern earthen floor construction combines tradition and science, to provide an exceptional product of unparalleled beauty and comfort for the conscientious homeowner. This six week accelerated skill builder will begin before the EcoNest Intensive, include all of the EcoNest Intensive workshops and Seminar, and continue after. 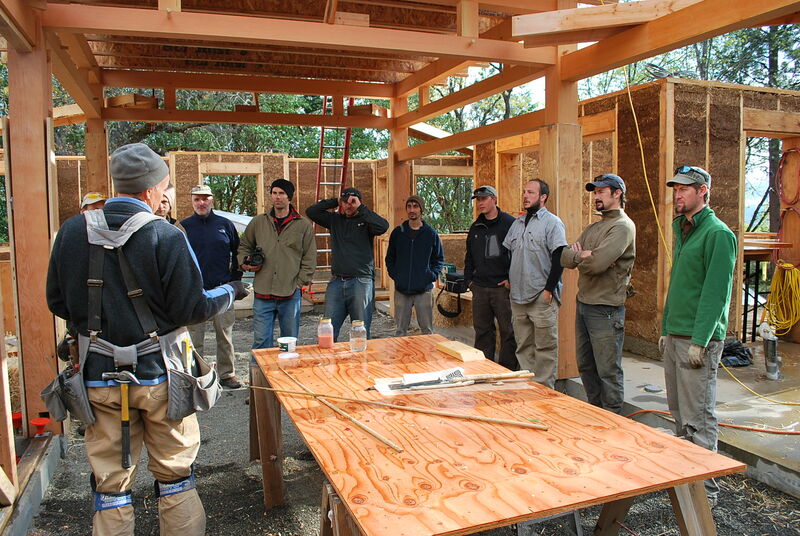 Students will develop and hone building skills from foundation to roof framing, completing the shell of a small EcoNest under the direct guidance of Robert Laporte and his staff. The course is structured for those wishing to immerse themselves in natural building, expanding both skill and knowledge base. This boot camp will be physically and mentally challenging and is not designed for casual learning! The EcoNest Co. has been published in a wide variety of publications. Read our articles to find out more.